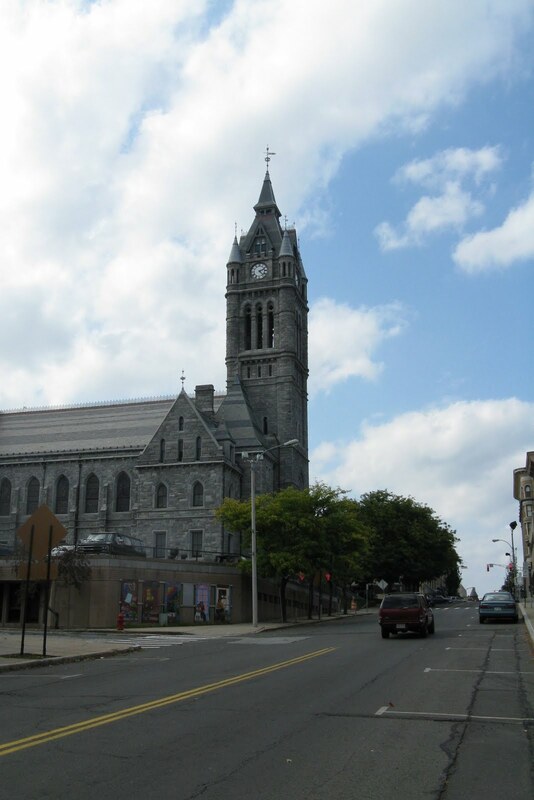 I know that new arrivals who drive into downtown Holyoke are not seeing the city at its best. Holyoke like many cities who have seen their economies destroyed over the past few decades is battling urban decay. It is a sad but highly evident fact. That does not mean however that Holyoke is bereft of treasures. As I have written in the past Holyoke was once a marquee city. The investments of past city elders can be seen if you choose to look. One of those locations is the Holyoke City Hall. The building itself looks displaced in modern Holyoke. It is akin to a building that you would find in an old European town. 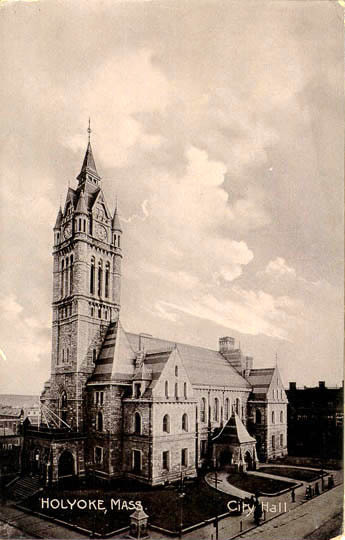 It is a large Gothic structure set aside brownstone flats of varied conditions. And yes, I am intimately familiar with this building having spent a good many days after school waiting for the bus there. Adorning the building is a wonderful set of stained glass windows. 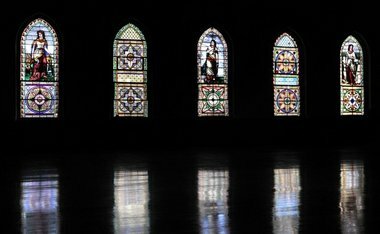 Each pane depicting a stage of Holyoke's history. I've seen these windows in the Sun and they are quite remarkable. Unfortunately, like many things they require upkeep and as Holyoke's fortune's dwindled funds to support the windows dwindled. Past repair attempts were lackluster and no they are in danger of falling apart. The very lead frame is deteriorating. I am very much a devotee of stained glass art and I would hate to see these windows lost. Honestly, I can't see the funds not being appropriated to fix the windows. It is a local landmark and was added to the National Historic Register in 1975. I'm sure that there are funds somewhere. That is money that I could support spending as a tax-payer.